Theresa Ruth Howard began her professional dance career with the Philadelphia Civic Ballet Company at the age of twelve. Later she joined the Dance Theatre of Harlem where she had the opportunity to travel extensively throughout the United States, Europe and Africa. She has worked with choreographer Donald Byrd as a soloist in his staging of New York City Opera’s Carmina Burana, in his critically acclaimed Harlem Nutcracker, as well as the controversial domestic violence work The Beast. In 2004 she became a founding member of Armitage Gone! Dance, and was invited to be a guest artist with Complexions Contemporary Ballet’s 10th anniversary season. Ms. Howard has been a member of the Ballet faculty at the Ailey School for over 18 years. She has been an Artist in Residence at Hollins University, and New Haven University in addition to teaching at Sarah Lawrence College, Marymount, Shenandoah, Universities, University of the Arts and the historical American Dance Festival. Ms. Howard was had adjudicated arts competitions and taught in Russia Italy, Canada, and Bulgaria. She had taught at the Joffrey Ballet School (NY) as well as co-facilitating a Body Awareness workshop or the Jazz Contemporary division of the program. As a writer Ms. Howard has contributed to The Source, as well as Pointe and Dance Magazine, Germany’s Tanz, and Italy’s Expressions. She is a contributing writer for Dance Magazine online. Her articles about body image prompted her to create mybodymyimage.com which endeavors to help others build positive body image through Respect, Acceptance and Appreciation. Her article, The Misty-rious Case of the Vanishing Ballerinas of Color: Where have all the Others Gone? Was as the subject of Race and Dance Townhall: REAL TALK at the Dance/USA conference in June 2015. Ms. Howard launch MoBBallet.org digital archive the Memoirs of Blacks in Ballet. 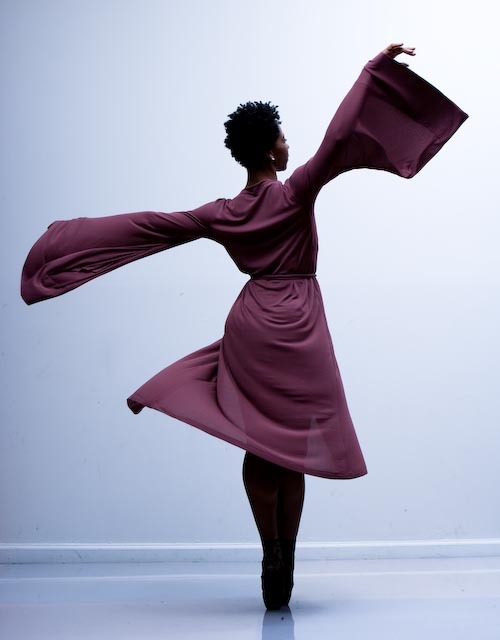 One of MoBB’s first projects was to help organize and facilitate the first ever audition for Black Female Ballet dancers for major Ballet organizations at the 2015 International Association of Blacks in Dance conference. MoBBallet is a 2016 Knight Foundation grantee for the documentation of Philadelphia’s Black Ballet history.